Pretty bows on stretchy head bands are so popular for baby girls, and for very good reason. Generally, babies do not have enough hair to put a bow with a clip in, but a nice stretchy band will keep a pretty bow in place, assuming the little girl leaves it on! The bows are not only adorable, but also give a bald little baby a feminine look, as well. They do exactly the same thing for baby dolls, and these babies never pull their finery off. The bow that we're making has a lot of possibilities, both in design and materials. It can be made entirely from your scrap basket and is a great way to use up those little bits of ribbon that are just too pretty to through away. The band in the photo at right was made from a piece of a sweat shirt sleeve. It has the perfect amount of stretch for a well fitting head band, and who doesn't have an old sweatshirt just waiting to be re-purposed? The great thing about this project is that you can still use the shirt, with short sleeves, if you wish! At right, My first reborn baby showing off her new bow. The circumference of my doll's head, right where I want the band to go, is 12 inches. Since the fabric stretches I cut a rectangle 10.5 inches long and 1.5 inches wide. I folded the rectangle in half along the long edge and stitched the long open edge closed.. Then I turned it right side out. An unsharpened pencil or a clean chop stick works great for this. I then tucked one short open edge into the other, folding the edge of the outer one to the inside about .25 inch and blind stitched them in place. To make a bow, you can cut a piece of ribbon and tie in a bow. You can also use a small scrap of fabric, hemmed or not depending on how you want it to look, and tie it in a bow. To attach the bow to the band you can tack it in place with a few tiny stitches, but I just used a small drop of glitter glue. My baby sitting in her seat and modelling her outfit, complete with hair bow. 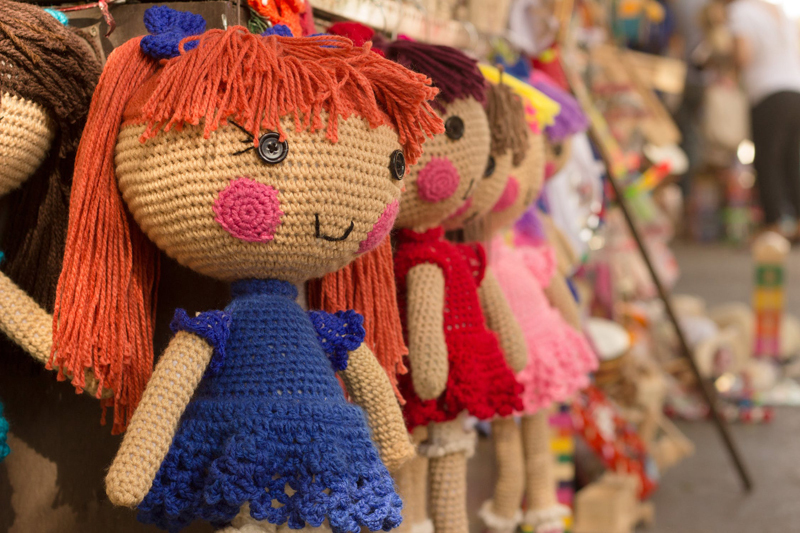 Try this little project and see what your imagination can add to your dolls wardrobes.